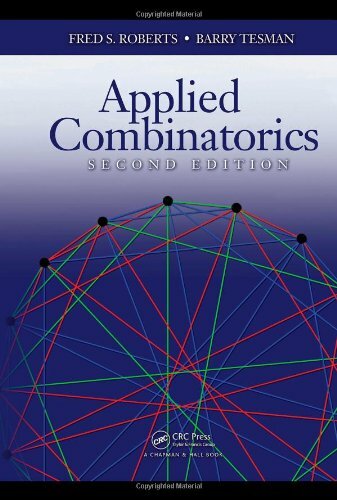 Now with solutions to selected problems, Applied Combinatorics, Second Edition presents the tools of combinatorics from an applied point of view. This bestselling textbook offers numerous references to the literature of combinatorics and its applications that enable readers to delve more deeply into the topics. After introducing fundamental counting rules and the tools of graph theory and relations, the authors focus on three basic problems of combinatorics: counting, existence, and optimization problems. They discuss advanced tools for dealing with the counting problem, including generating functions, recurrences, inclusion/exclusion, and Pólya theory. 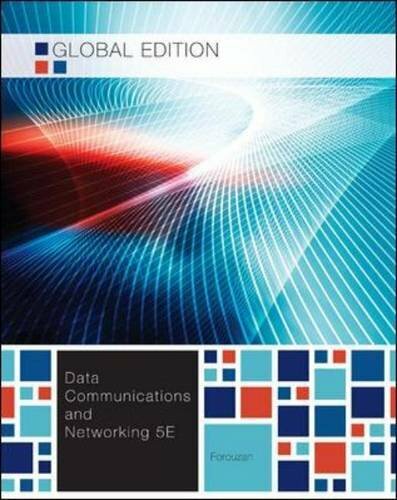 The text then covers combinatorial design, coding theory, and special problems in graph theory. It also illustrates the basic ideas of combinatorial optimization through a study of graphs and networks. Synopsis:This book will be of great interest to any professional engineer or automotive engineering student working on off-road vehicles. Reflecting the increase in off-road vehicle production and development-recreational, agricultural, construction, military-this book equips readers with all of the necessary knowledge to successfully design and model off-road vehicle systems, and provides a comprehensive introduction to terramechanics, the mechanics of vehicle/terrain interaction. Covers the latest developments in the field, including the latest computer-aided methods employed in the development of new generation of high-mobility off-road vehicles in Europe, North America and Asia. 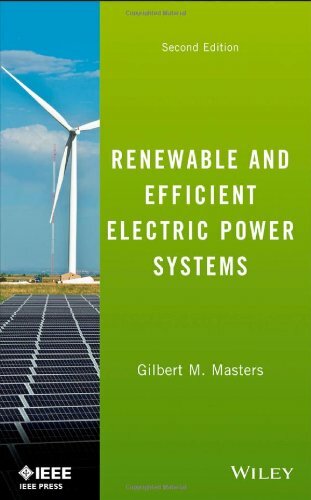 Ideal for professional reference and course reference by students, with new detailed worked design examples, case studies, and accompanying problems and solutions. 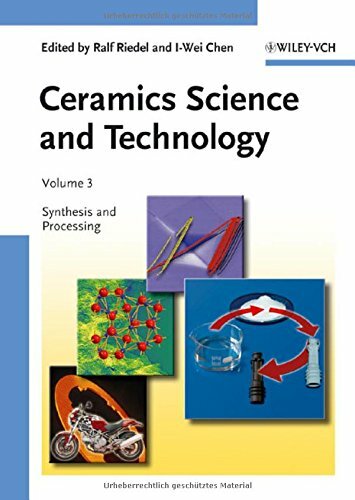 Synopsis: Although ceramics have been known to mankind literally for millennia, research has never ceased. Apart from the classic uses as a bulk material in pottery, construction, and decoration, the latter half of the twentieth century saw an explosive growth of application fields, such as electrical and thermal insulators, wear-resistant bearings, surface coatings, lightweight armour, or aerospace materials. In addition to plain, hard solids, modern ceramics come in many new guises such as fabrics, ultrathin films, microstructures and hybrid composites. This bestseller will help you learn regression-analysis methods that you can apply to real-life problems. It highlights the role of the computer in contemporary statistics with numerous printouts and exercises that you can solve using the computer. 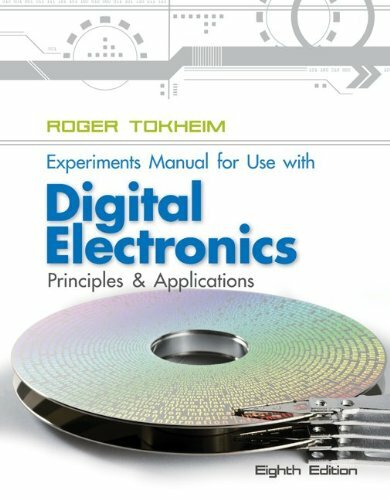 The authors continue to emphasize model development, the intuitive logic and assumptions that underlie the techniques covered, the purposes, advantages, and disadvantages of the techniques, and valid interpretations of those techniques. An understanding of statistical tools is essential for engineers and scientists who often need to deal with data analysis over the course of their work. 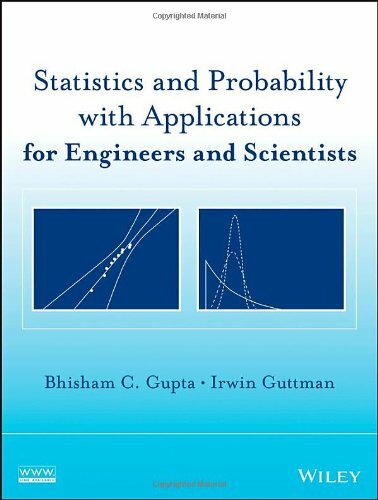 Statistics and Probability with Applications for Engineers and Scientists walks readers through a wide range of popular statistical techniques, explaining step-by-step how to generate, analyze, and interpret data for diverse applications in engineering and the natural sciences. 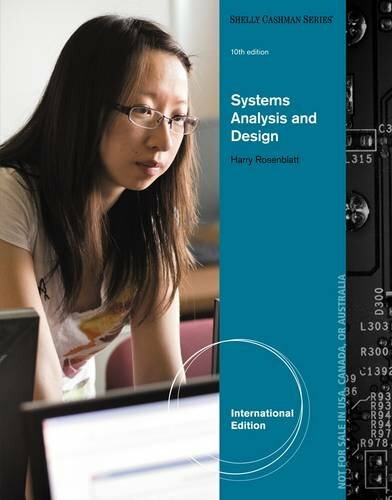 Assuming no background in probability and statistics, Statistics and Probability with Applications for Engineers and Scientists features a unique, yet tried-and-true, approach that is ideal for all undergraduate students as well as statistical practitioners who analyze and illustrate real-world data in engineering and the natural sciences. Probability and statistics for engineers and scientists, 4th ed. 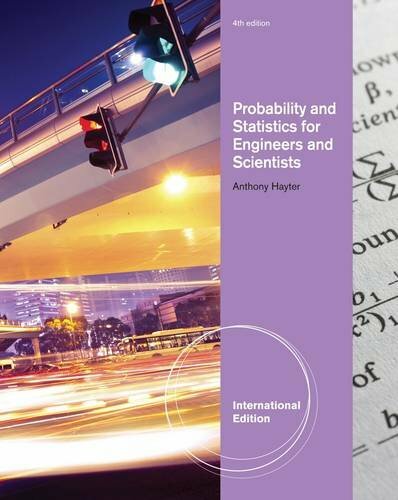 “Probability And Statistics For Engineers And Scientists, 4/e, International Edition” continues the approach that has made previous editions successful. As a teacher and researcher at a premier engineering school, author Tony Hayter is in touch with engineers daily – and understands their vocabulary. The result of this familiarity with the professional community is a clear and readable writing style that readers understand and appreciate, as well as high-interest, relevant examples and data sets that hold readers’ attention. A flexible approach to the use of computer tools includes tips for using various software packages as well as computer output (using MINITAB and other programs) that offers practice in interpreting output. Extensive use of examples and data sets illustrates the importance of statistical data collection and analysis for students in a variety of engineering areas as well as for students in physics, chemistry, computing, biology, management, and mathematics. 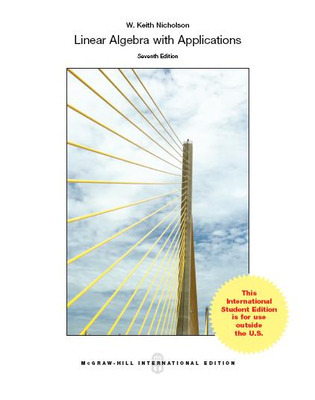 Linear algebra with applications, 7th ed.